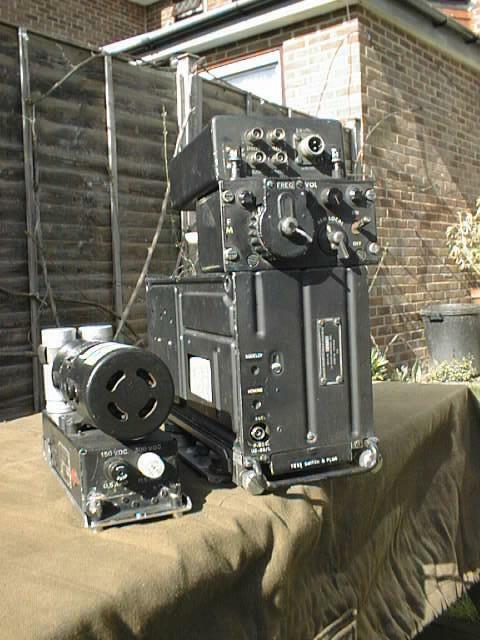 Complete Aircraft radio set, 24-51.9 Mhz, 280 channels, 100 Khz channel spacing, FM, power output 8 watts. Provides FM communication for aircraft and attachment of a homing device. Remote control unit has frequency selector with mechanical digital frequency display, on/off switch, and volume control. The kit consists of RT-294 Aircraft radio, Dynamotor power supply, Antenna junction box, and the Remote control box. Used connectors are supplied for RT-294 and remote control.